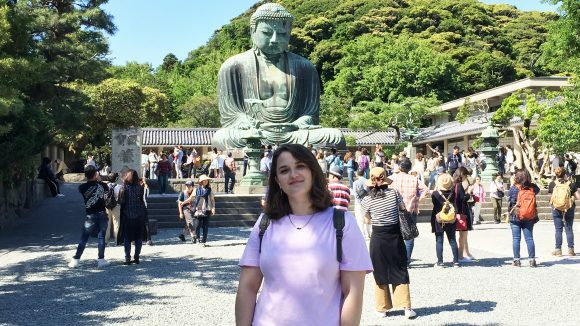 In the fall of 2017 as most students prepped to return to Oxford, MS for their fall semester, Gwenafaye McCormick prepared for an academic year abroad in Tokyo, Japan. An international studies major, Gwenafaye begins her senior year now with a new perspective after her time at Waseda University, a private independent research university in Tokyo. Interested in Japan and its culture for years before, Gwenafaye's time abroad provided her with the opportunity to experience of the everyday life. Before going abroad, Gwenafaye was selected as Inaugural Ira Wolf Scholar from the U.S. Japan Bridging Foundation encouraging her extended stay in Japan as well as allowing her to fully immerse herself in the unique, artistic, and complex culture of Japan. You can read more about Gwenafaye's abroad experiences in Japan here.